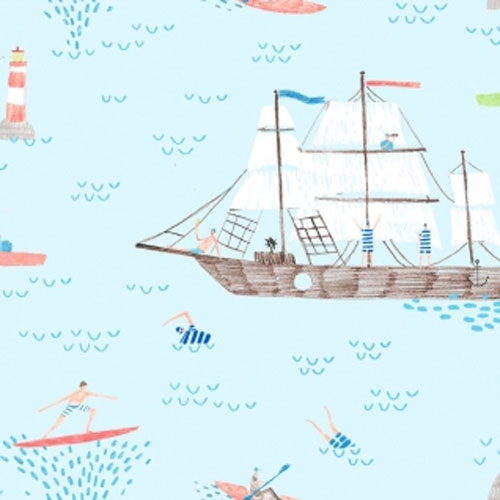 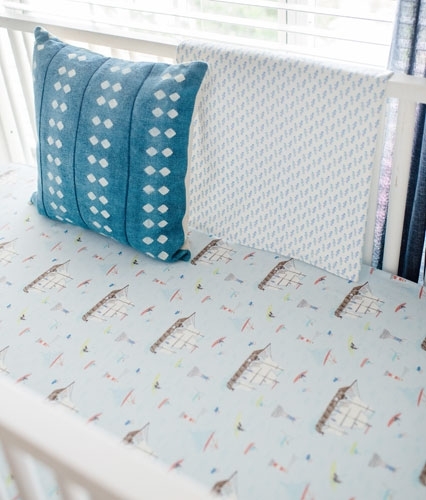 This fun and whimsical nautical crib sheet features a happy seaport village. 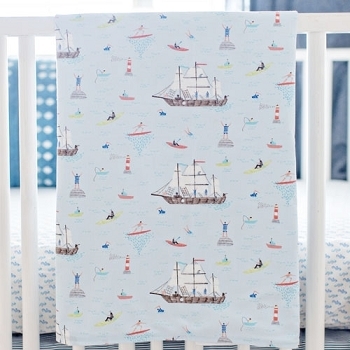 Perfect for a maritime styled nursery! 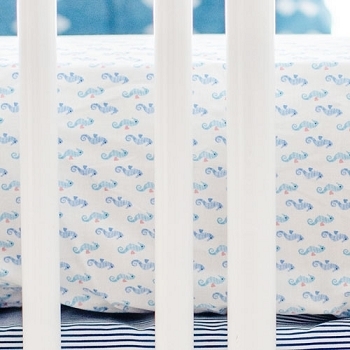 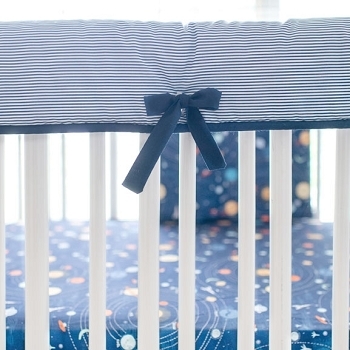 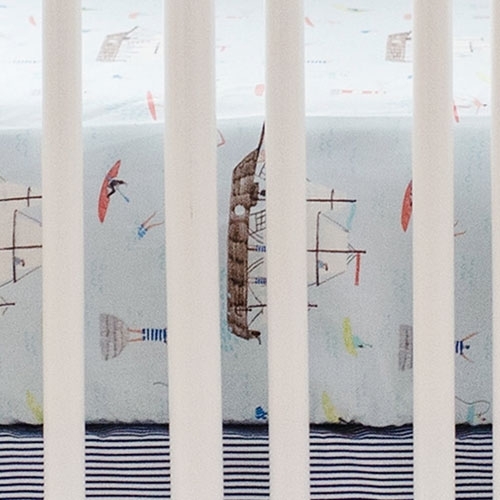 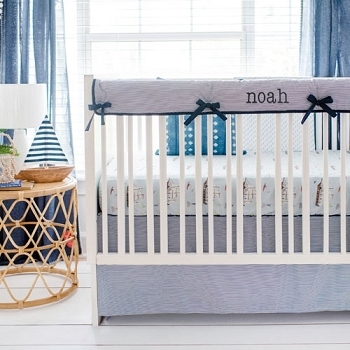 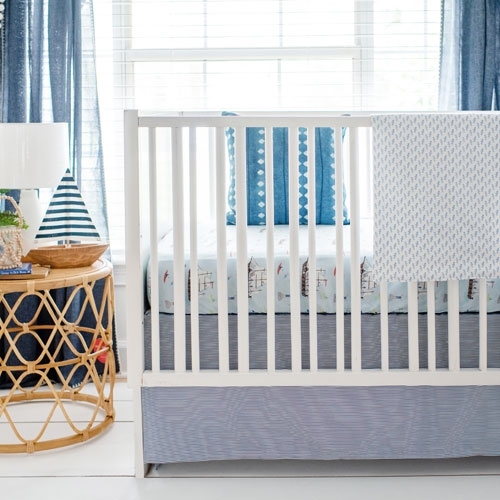 Coordinate with our Ahoy Matey Nautical Baby Bedding Collection.